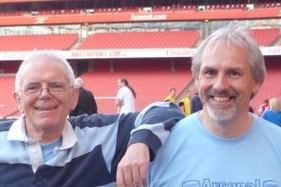 Norris at the Arsenal: The first suggestion that Arsenal could be elected to the 1st division. With the war over, and the general election having been held to elect a new government, discussions about football’s future in England began to heat up. It had already been decided to keep the wartime leagues running throughout the first four months of 1919 in order to give everyone involved in football time to consider what they wanted to do next and this turned out to be a good decision – there was an awful lot to talk about. The London Combination had been the first to add a new idea to the mix: a London Victory Cup knock out competition. This was a contest that was going to have significant consequences for Sir Henry Norris, although at the time of the first match on 1 January 1919 it seemed innocuous enough. The result was Millwall Athletic 0 Arsenal 1 with 6,000 in the crowd. Meanwhile an interesting issue arose with regards to a friend of Sir Henry, Sir George Elliott, who like Sir Henry had been elected as a Conservative MP. It is worth pausing to note this story, as it relates to a dispute between the MP and his party, something which Sir Henry himself was later to become involved in. Because such events are fairly unusual today, the fact that Sir Henry fell out with his local party might seem exceptional. It was however quite commonplace at the time. But more to the point it was Sir George who was largely responsible for raising the 21st (Service) Battalion (Islington), The Middlesex Regiment, the same regiment that Sir Henry’s Footballers Battalion became part of. Both men were knighted for their work at the same time in 1917. Sir George, like Sir Henry, was elected to Parliament as a Conservative in 1918. However Sir George fell out with his party almost immediately – it seems he had been giving the party constant financial support, and now the election was over he said he couldn’t carry on doing this. To save money he therefore now proposed getting rid of the political agent and local party offices. The local committee said no (not surprisingly) and so relationships broke down and Sir George was deselected. That didn’t stop him serving as an MP between 1919 and 1925, but it meant that he would not be chosen as the Conservative to represent that part of Islington, next time around. It is an interesting point to reflect upon here, because Sir Henry was already taking a stand on issues such as the equality of women, pay for ex-servicemen and the cut in railway fares, which were setting him apart from his party’s official line. But the discipline of the parties at the time was nothing like the discipline exerted by the whips in Parliament today. MPs doing their own thing, while falling out either with their local party or their party in Parliament seems was quite commonplace. Meanwhile back with the football, John Edward Norris, brother of Sir Henry joined Arsenal and became assistant secretary at the club – a job he had held at Fulham FC before the war. As for the country at large, the authorities were finding matters increasingly hard to handle, as with events on 3 January when soldiers blockaded Folkestone harbour in an ultimately successful protest against being returned to France. This was in effect a mutiny… and in the face of it the government caved in, undoubtedly aware that the mood of the population had changed. Four years of privation had left their mark, and the populace now wanted a return to normal life. On 4 January Arsenal played Millwall again, this time in the London Combination at Highbury. Arsenal won 4-1 with Hardinge and Chipperfield each getting two goals. 8000 were present, which was just a little above the norm that had been established at the ground during the autumn and winter months. Meanwhile, what was now becoming an almost continuous series of discussions about the future of football continued on 6 January as the Football League Management Committee started to debate the demands of the reformed Players’ Union over salaries, and to discuss the idea of amalgamating the Football League with the Southern League. The latter notion however seems to have got nowhere, and it was reported that the Southern League was presenting little more than the idea of amalgamation, rather than a coherent plan. Back with the playing of the game, the next Arsenal match was away to Fulham on 11 January, once again with a crowd of 8000. Fulham won 3-1. Then on 13 January there was a real step forward in what was to become a significant and pivotal moment for Arsenal. As noted previously, the key opinion former in English football at the time was the magazine Athletic News, based in Manchester. Newspapers carried rather straightforward descriptive accounts of matches, but there was little interest in considering the politics and administration of the game, save within Athletic News. To give a feel for what the paper was like at this time, and its interest in giving background articles that could not be found anywhere else, you might care to see an article about Arsenal from Athletic News that we reprinted recently. As we have seen previously, prior to the war Henry Norris was involved in an attempt to turn a small London based magazine (“Football Chat”) into a rival to Athletic News, and he bought shares in the company in July 1908. That venture failed, and it left Athletic News secure in its position as an opinion former, particularly on football, which it covered in depth every Monday under the hands-on approach of its editor James Catton (generally known as J.A.H. Catton writing first under the pen name Ubique and later Tityrus). Having been a football correspondent for the local paper in Preston Catton had got to know many players, and began writing for Athletic News as a regional correspondent. By the start of the 20th century he was editor of the paper, and considered not just the most influential writer on football in the country, but also a brilliant businessman, quadrupling the sales of the paper during his tenure. He also went on to write several books about football. Returning to the focus of our story, on 13 January 1919 Catton published an article in Athletic News raising the issue of match fixing. This was, as far as I can discern, the very first post-war public reminder of the events of 1915 in which Liverpool players were found to be guilty of match fixing – events that had left Chelsea relegated as a result of Liverpool’s nefarious deeds. Because of this, Catton argued, one of the two teams that ought to be returned to the first division (if that league was to be expanded, as had already been proposed), should clearly be Chelsea. He then went on to consider the argument that Tottenham, who had also been relegated with Chelsea should likewise be reinstated, although as he said there was nothing to link Tottenham’s relegation with anything amiss in the final season before the cessation of the League for the duration. They had been relegated fair and square. Here is the first division table at the end of the 1914/15 season – the final season before the cessation of the league for the duration. With two clubs relegated, and two points for a win and one for a draw, if the Manchester United / Liverpool game had not been fixed, and Liverpool had won as was expected given their league position, it would have been Tottenham and Manchester United who would have been relegated, and as such giving Chelsea one of the additional places in the league was hardly contentious – far less contentious than the fact that Liverpool had gone unpunished. However Catton then wrote, “The Arsenal have a case for consideration as the oldest League club in London, and one of the most enterprising in the face of difficulties which would have appalled most directors”. The piece then went on to expand on the two reasons for considering Arsenal: the financial hardship the club had suffered as a result of the war and government policy, and the club’s loyalty to the Football League, being its first member from the south of England. This was the first mention in print of Arsenal being given a place back in the First Division, so the question now arises: where did Catton get this idea from? Certainly he was highly knowledgeable about football across the country, and knew all about Arsenal’s near demise in 1910, and the risks Henry Norris had taken in paying off the debts and then moving the club in 1913. And Catton had met Sir Henry and William Hall (who as we have noted before was on the Football League Management Committee). For despite being based in Manchester before the war, Catton worked in London during the war, and had been a regular visitor at Highbury, for wartime games. But what Catton was also doing was expanding the issue concerning the Arsenal, through emphasising the fact that Arsenal had shown great initiative by having moved themselves from south of the river to the north, thus transforming their fortunes in terms of attendances. Arsenal had an unprecedented growth in their gates of over 140%, up to 22,745 from 9,395 the previous season, and this despite going down a league. It was a growth achieved quite simply by moving to the right place; a place surrounded on all sides by residences, well served by transport links and near rival clubs. As a result of the move Arsenal had not “stolen” the crowds from Tottenham and Clapton Orient, but stimulated an interest in football in the area. Tottenham who had complained bitterly about the move of Arsenal into North London, had benefited enormously from the change, seeing their average crowd rise by 17% through this heightened interest created by the move of Arsenal to the region. The Athletic News article also praised Arsenal and Sir Henry’s work. Today, many people see the reputation of Sir Henry Norris as a negative factor, because of the way his rivals spoke about him when they took over the club, and because of the publication of Knighton’s memoirs after the second world war, but Sir Henry was highly regarded at the time, not just because he had single handedly saved the club and turned it into a thriving entity while keeping with him some of the stalwarts of the club such as Jack Humble and Joe Shaw, but also because he had been the first man to speak out about the match fixing antics of Liverpool, back in 1913. Also we must acknowledge that personally, Sir Henry’s stock could not have been higher. He had risen from nowhere to the rank of Lt Colonel and was now Chair of the government committee overseeing the resettlement of soldiers returning from the war. He had set up and paid for the incredibly popular and famous Footballers Battalion, and had been knighted for his efforts. In January 1919 he was one of the most famous men in football, highly respected for his achievements, and once whose name would have resonated with every reader. We should also not forget just how much of a feeling there was for Arsenal across the country. This was the soldiers’ team, the team of the men who made the munitions with which the British army had fought the recently concluded war. Soldiers across the country would have their own team, from their home town, but many also supported the Arsenal – as soldiers had done from the Boer War onwards. All this could well have been on Catton’s mind as he put forward the suggestion that Arsenal should be in the first division. But might Catton have been bowing to pressure from Sir Henry? I can’t see this at all. In terms of football commentators Catton was as famous and successful as they came and there was no reason why he would be influenced by Sir Henry. Indeed the opposite is more likely given that Sir Henry had tried to set up a rival publication to take on Athletic News. What’s more Sir Henry certainly didn’t have anything he could offer Catton for Catton already had all the fame and fortune he could want for as a writer. As to what happened next… I’ll deal with that in the next episode. The Henry Norris Files Section 1 – 1910. Arsenal in wartime: Norris’ genius for administration comes to the fore but reduces Arsenal’s playing staff. Arsenal in wartime: January 1916. The end of the first wartime league. Arsenal: March – May 1916. The team in decline, entry to football taxed for the first time. Arsenal at war; Tottenham move out of WHL, Arsenal hit rock bottom. June to Sept 1916. January 1917: Arsenal’s upturn continues, gang culture in London, turmoil in Russia. Arsenal in February 1917: Arsenal on the up, George Allison’s contribution. Arsenal – March 1917. Measles, price rises, women start to serve. Arsenal in April and May 1917. Norris goes missing, Arsenal continue winning. September 1917: Arsenal’s form definitely on the up. Arsenal at the end of 1917. Crowds collapse, results poor, the war drags on. April 1918: the third wartime league ends; Ireland rebels against conscription. November 1918: war ends, FA / League quarrel, Henry Norris is called on (again). Norris at the Arsenal. 1-10 December 1918; allegations of corruption heard in court. Arsenal, 11 – 31 December 1918. A 9-2 victory, the chairman becomes an MP, footballers unionise. The book “Woolwich Arsenal: the club that changed football” is the only complete history of the club ever published, covering its entire lifetime from 1893 to 1915. There are a small number of copies left available of this 234 page volume. It is available for £14.95 with no postage charge for delivery within the UK. Just email Tony@schools.co.uk with your details and make a payment via PayPal to the account TonyAttwoodofLondon@gmail.com or contact me and I can arrange another other method of payment.